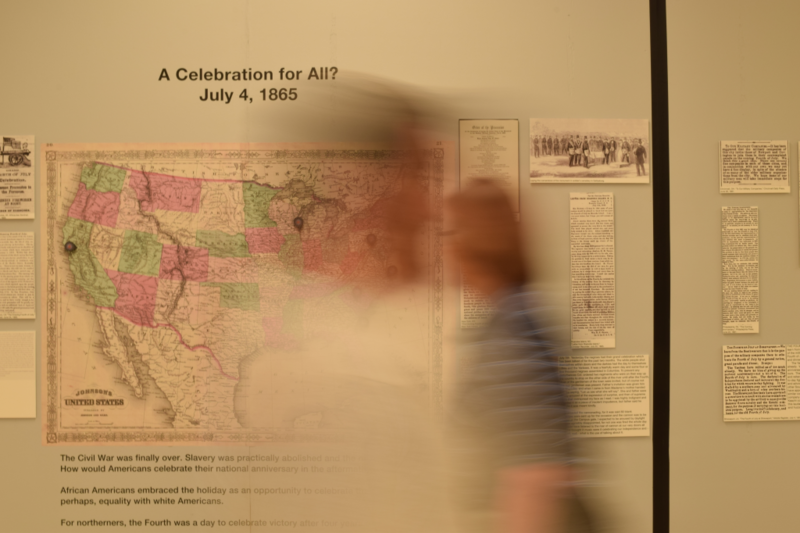 Dr. Luther and Dr. Paul Quigley hosted a Fourth of July transcribeathon at Blacksburg Public Library to coincide with Independence Day weekend. Ph.D. candidate Nai-Ching Wang and computer science major Liyan Li, both Crowd Lab members, were also on hand to help new users from the local community get started with our Incite software and the Mapping the Fourth of July project. The event also featured a variety of delicious and patriotically themed snacks provided by Andrea Linkous of the CS Department. Thanks to everyone who attended and helped organize! Another video provides a great overview of the exhibit for those who aren’t able to attend in person. Thanks to Liz McVoy for producing these videos. More photos of the reception are available on the Mapping the Fourth Facebook page. WVTF & RADIO IQ, the NPR affiliate for Southwest Virginia, produced a radio segment and accompanying article about our Incite software and the Mapping the Fourth of July project. The story includes quotes by Dr. Luther and Mapping the Fourth project director Dr. Paul Quigley. Additionally, Richmond’s NPR affiliate produced a different radio segment and accompanying article about our project a few days later. 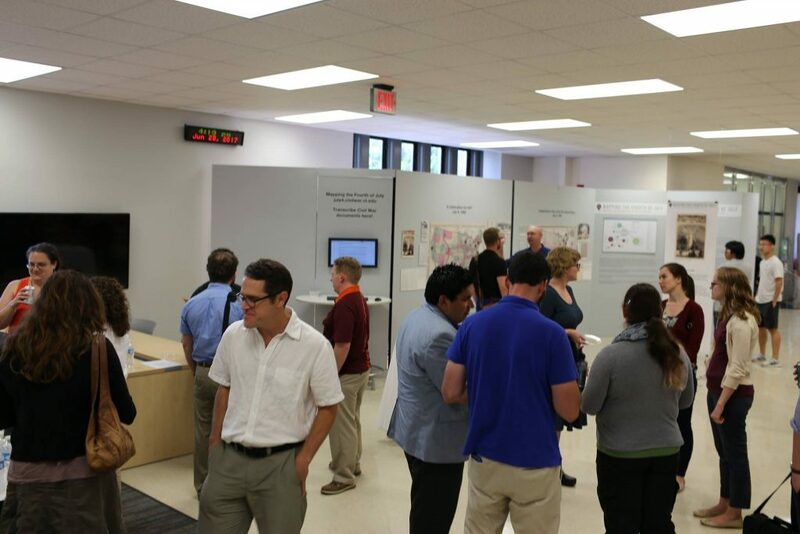 After much preparation, the Creativity & Cognition 2017 Graduate Student Symposium took place on June 27. The event was held at the National Gallery of Singapore. Dr. Luther and Dr. Elizabeth Churchill of Google co-chaired the event. Dr. Luther had to video conference in using Google Hangouts (see photo above) due to flight problems, but otherwise the GSS went off without a hitch. We had 13 talented graduate students working on creativity and computing research join us from universities all over the world. Thanks to Elizabeth and the other conference organizers, the students, and NSF for financial support! These projects were also featured in a press release for last year’s Independence Day. Our full paper on using crowdsourcing and diagramming to support image and video geolocation was accepted for the HCOMP 2017 conference in Québec City, Canada. Only 29% of paper submissions were accepted for this competitive crowdsourcing conference. Congrats to MS Computer Science alumna Rachel Kohler and BS Computer Science alumnus John Purviance, the first and second authors of the paper, respectively. Geolocation, the process of identifying the precise location in the world where a photo or video was taken, is central to many types of investigative work, from debunking fake news posted on social media to locating terrorist training camps. Professional geolocation is often a manual, time-consuming process that involves searching large areas of satellite imagery for potential matches. 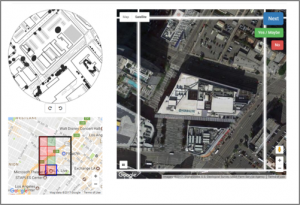 In this paper, we explore how crowdsourcing can be used to support expert image geolocation. We adapt an expert diagramming technique to overcome spatial reasoning limitations of novice crowds, allowing them to support an expert’s search. In two experiments (n=1080), we found that diagrams work significantly better than ground-level photos and allow crowds to reduce a search area by half before any expert intervention. We also discuss hybrid approaches to complex image analysis combining crowds, experts, and computer vision. The full version of the paper can be read here. Dr. Luther unveiled our new Civil War Photo Sleuth software to the public for the first time in historic Gettysburg, Pennsylvania. The software uses crowdsourcing and face recognition to identify unknown people in photos from the American Civil War era. 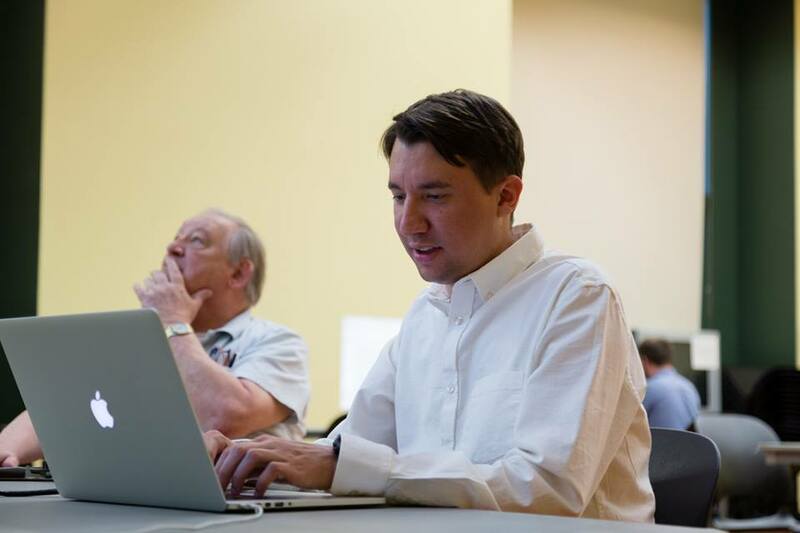 On Friday, Dr. Luther demonstrated the software at an invitation-only event for Civil War photography experts at the Adams County Historical Society. 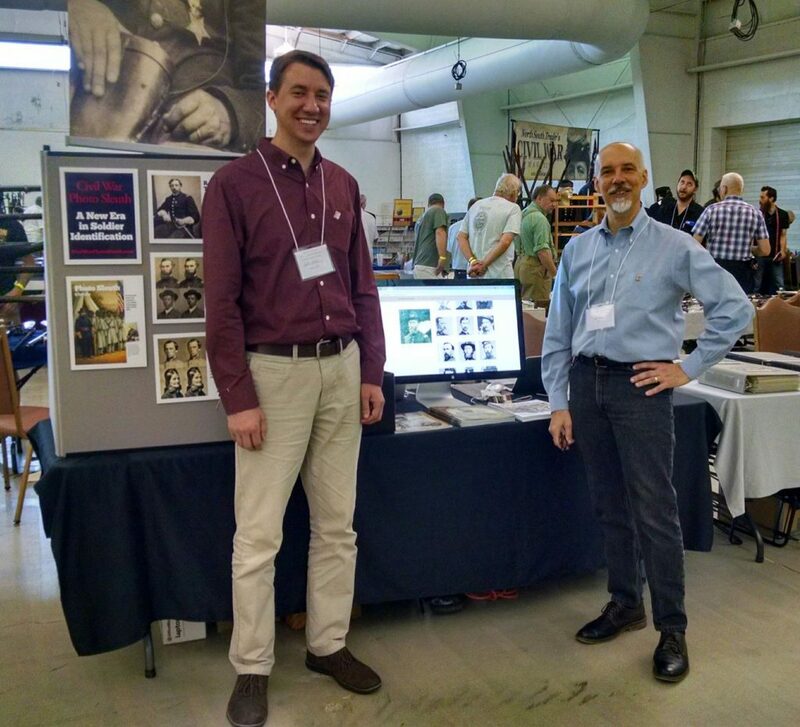 On Saturday and Sunday, he joined Ron Coddington (pictured below), editor and publisher of Military Images magazine, at the 44th Annual GBPA Civil War Artifact and Collectibles Show. We had a table set up showcasing the Civil War Photo Sleuth software and invited collectors to bring their historical photos to us for scanning and real-time analysis and identification. Many took us up on the offer, and by the end of the weekend, Civil War Photo Sleuth had created quite a buzz. More photos of the event are posted on the Military Images Facebook Page. We look forward to improving the software based on the feedback we received and preparing for a wider release. Meanwhile, anyone interested in beta testing can sign up on a new website for the project, CivilWarPhotoSleuth.com.